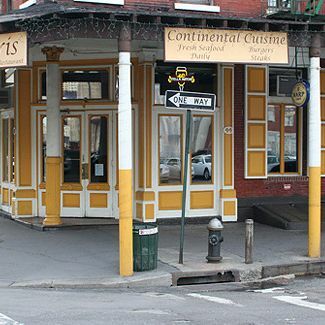 The hurricane-struck Paris Café has completed post-flood renovations and is reopening to the public today at 11 a.m., notes Eater. The old restaurant’s dining room took on many feet of storm surge and suffered extensive damage throughout, but proprietor Peter O’Connell has refurbished the restaurant, replacing equipment and fixtures wrecked by floodwaters. [Eater NY] * An earlier version of this post incorrectly referred to the Bridge Café, another Seaport-area restaurant heavily damaged by Hurricane Sandy.